Several years ago, the “internet of things” wasn’t a household term. Thanks to the emergence of smart technology, however, 81% of buyers would be more willing to buy a home if smart home products were installed, and 54% of homeowners who are in the market to sell would buy smart home technology to speed up the sale. That being said, with so many options for smart technology on the market, what smart home upgrades should you make to increase the value of your home? According to Energy Star, the cost of lighting your home makes up approximately 12% of your annual energy bill – or around $264 per year. That amount probably isn’t going to break the bank, but every dollar adds up when you’re a homeowner. In addition to saving you money, smart lighting is convenient. Dimmer and sensor systems allow you to control your lighting from your smartphone – no matter where you are in the world. Smart lights can also be customized to perform certain actions like slowly growing brighter when you first wake-up, switching off automatically whenever you leave the house, or blinking when you receive a phone call. Smart lighting is advantageous both indoors and out, as smart outdoor lighting can make your home more secure since it serves as a motion detector. Programmable thermostats have actually been around since the 1950s. However, a majority of the standard clock-type thermostats can be confusing to figure out and difficult to use. Thankfully, smart thermostats take the thinking out of heating and cooling your home. That’s because they sense when you’re home and when you’re not so that they can adjust the temperature accordingly. Aside from the convenience factor, a smart thermostat can also save you money. For example, the most popular smart thermostat, the Nest, costs just $249, but projects an average savings of around $173 per year. Speaking of the Nest, they also offer a smart smoke detector. Unlike older smoke detectors, these tech-savvy options effectively monitor smoke, carbon dioxide, and general air quality. Smart smoke detectors can also reduce insurance premiums and, most importantly, keep your family safe and secure. Sticking with the safety of your home, companies like Comcast and ADT offer affordable smart home security for added layers of security for your home. For example, you can control the lights and locks at your home from your smartphone, and you can receive text messages if someone enters your home. 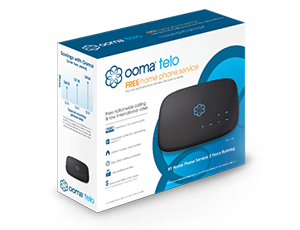 You also have the option to purchase a DIY home security system, like SimpliSafe or Ooma Remote 911. These will monitor all of your sensors to make sure that yours are in top shape and will automatically connect you to 911 if there’s an emergency. 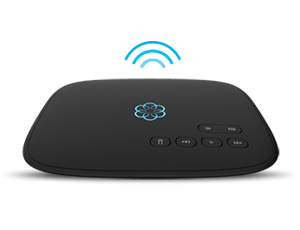 Unlike SimpliSafe, Ooma is the only DIY home security system that comes with a Remote 911 option. The days of fumbling for your keys to unlock your front door are over thanks to smart locks. By using Wifi and/or Bluetooth-enabled devices you can use your smartphone to automatically detect when you’re home so that the door will unlock as you approach. You can even program them so that you can let your children, guests, plumbers, electricians, or realtors in without hiding a key. Best of all? Smart locks like the August Smart Lock allow you to leave messages through the app – which might come in handy if you have anything you need to share with your real estate agent. And, since you can keep your existing hardware, installing a smart lock is a simple and cost-effective way to increase your home’s value. There’s no shortage of home appliances that now feature WiFi connectivity – just look at all the smart products that LG offers. This means that you can control appliances directly from your smartphone, like scheduling hot water for your coffee or starting your dryer cycle later in the day. Since you’re probably taking your smaller gadgets with you, consider purchasing larger appliances like your fridge, oven, and washer/dryer when attempting to increase the value of your home and appeal to potential buyers. Smart tankless water heaters from companies like EcoSmart ensure that you’ll never run out of water because they only store hot water on demand. That can save you up to 50% on your annual water heating costs. On the downside, the initial investment can be expensive. Between purchasing the equipment and installation, expect to pay around $1,557 according to Home Advisor. There is definitely an argument for installing a tankless water heater before you sell your home, however, as Zillow found that homes with tankless water heaters sold for 4% more than their expected value. These homes also sold 43 days faster than expected. If you need to regularly water your lawn, then a smart sprinkler system is a solid investment. For starters, it’s going to save you the hassle of manually watering your lawn or setting up a sprinkler system that you have to turn on or off, and it’s also going to save you some cash. Smart sprinklers can be programmed through your computer or smartphone app. This lets you automatically adjust your sprinkler system to account for the season and the weather. Rachio Iro, for example, claims to save customers more than 30% on their outdoor water usage. Solar panels aren’t cheap to install, with an average system costing around $10,000. But, federal tax credit programs can offset the cost by some 30%, and solar panels can save homeowners as much as $2,000 a year on their energy bills. With smart junction boxes, you can also monitor panel performance and switch off individual panels or an entire group if there’s an emergency like a fire or tornado. Before you make any smart home upgrades…. Put yourself in the shoes of potential buyers. For instance, first time buyers probably don’t have any interest in an expensive home because it has a million dollars worth of smart home technology running it. Think about what the buyers in your area will consider the most valuable in terms of smart technology. Will it convenience? Entertainment? Security? In most cases, however, the suggestions listed above are affordable upgrades that will definitely boost your home’s value.